With our leaving London date fast approaching and there still being so much to see and do I began madly ticking things off my London ‘must do’ list. 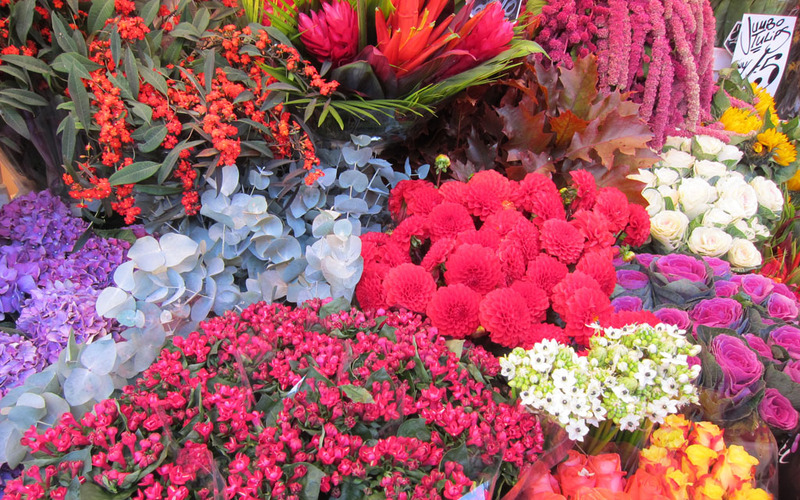 I was (and had been for some time) desperate to get to Columbia Road Flower Market. So before we moved State side I made it my mission to go. And with the weather on our side, one sunny Sunday Nick and I, along with our friend Cara headed over to the East End to take a stroll down the colourful street. Situated in the heart of East London, with Shorditch to the west and Brick Lane and Spitafield nearby Columbia Road Flower Market, since it’s early beginnings (1840s) until present day has provided the East End with a magnificent assortment of locally and internationally grown flowers and plants. 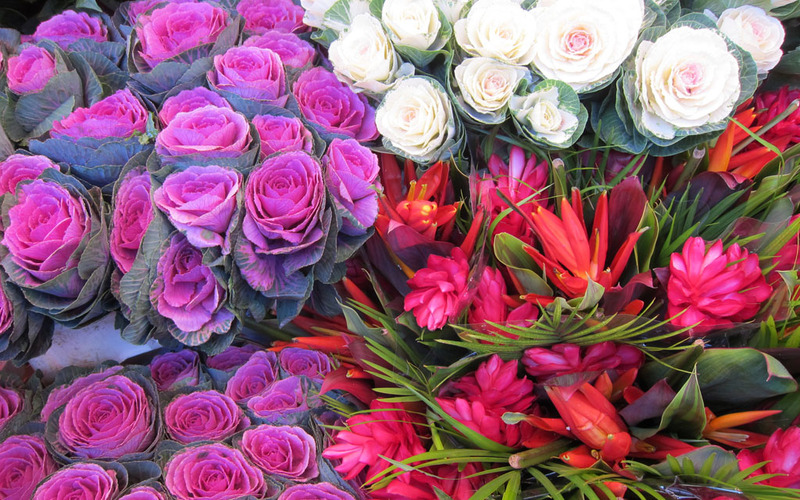 Today, a vibrant and bustling market, Columbia Road Flower Market literally bursts with life. 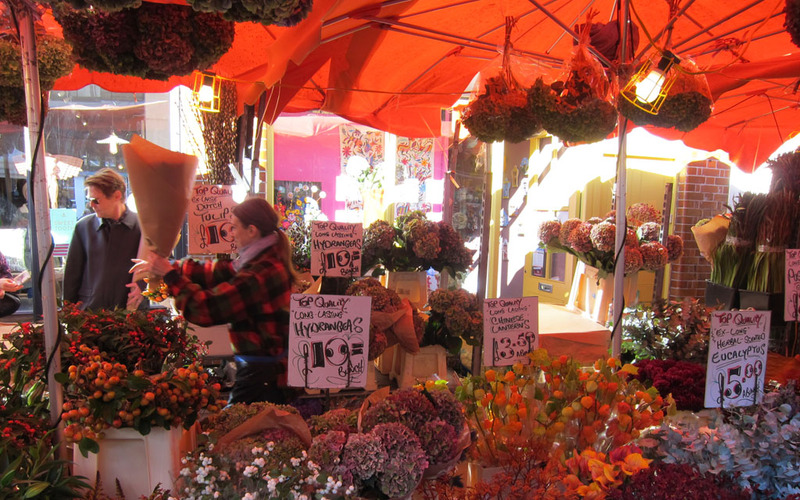 Flower sellers trade off their stock from stalls that overflow with freshly cut flowers, potted plants, trees, herbs and all sorts of other types of flora. Some traders have been operating since the 1940s! 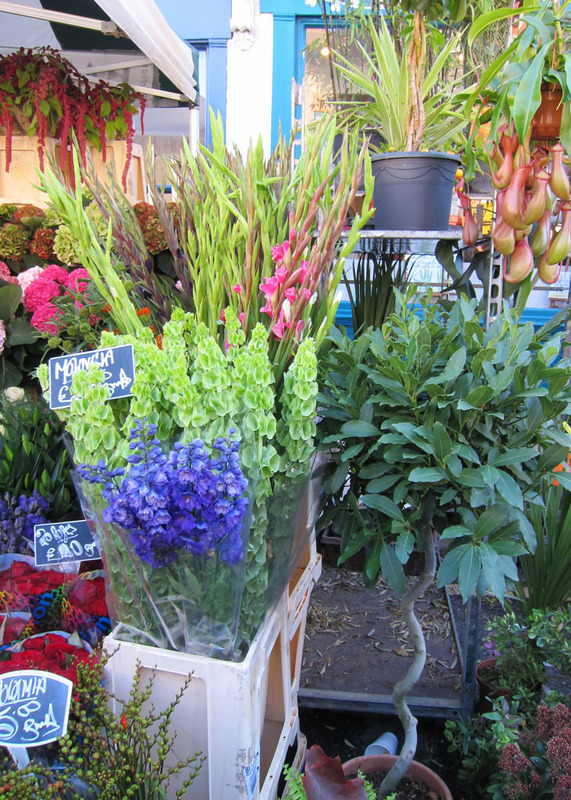 Walking down the road, amidst a canopy of sweetly smelling foliage (jasmine, rosemary, lavender), vendors chant cockney rhymes and shout out prices like “two for a fiver”, which simply cannot be passed by. Neither can you pass by the array of independent shops, galleries, cafés and delis that line the Victorian terraced street that the market runs along. Each selling the usual bric-a-brac and vintage fair that East London is known for, as well as locally produced pottery, jewellery, knitted scarves and hats. 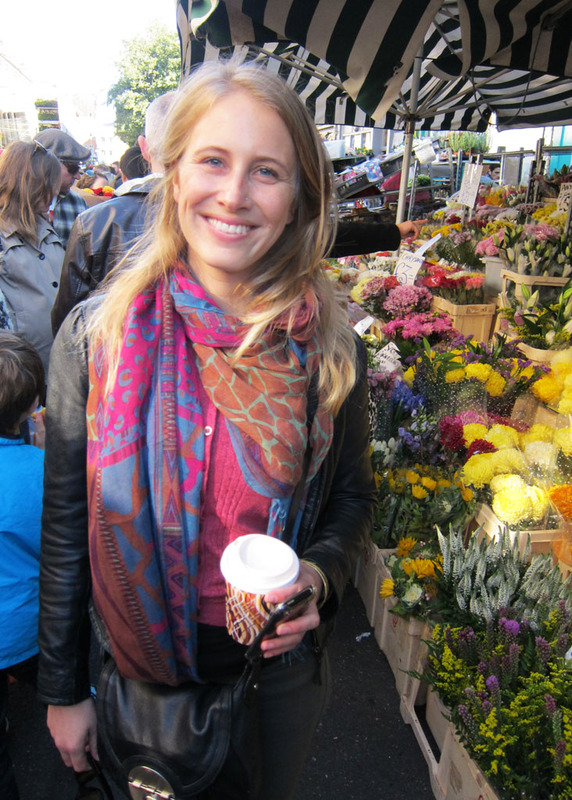 Leaving the market, market-goers carry away armfuls of plants and flowers. Both Cara and I walked away with potted orchids (a steal at a fiver each) and a beautiful bunch of flowers. As we headed for the train all I kept thinking was, ‘I can’t believe I left it so long to come!’ I know that if I had come earlier it would have become a regular Sunday outing. Like other London markets I recommend going early morning (about 8am), as during the middle of the day it becomes ridiculously crowed. We were more leisurely in our approach, arriving around 1pm and the usual pleasant walk through the sweet perfumed stalls became stressful and to be quite honest rather painful. I cannot count the number of times I lost Nick and Cara in the crowd. If you’re one for a lazy Sunday morning or want to grab yourself an even bigger bargain try heading to the market around 2pm. That’s when things start to wrap up and traders practically give away their flowers. If you're taking the Overground train, the closest station is Hoxton.